Heat and humidity isn’t slowing anyone down. 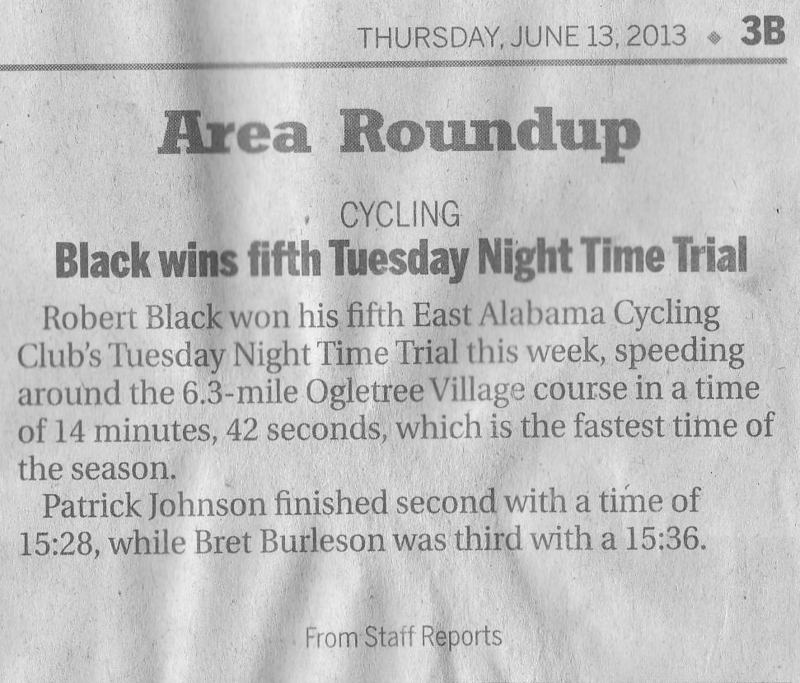 All you Auburn cats keep an eye out on the folks from LaGrange, they’re posting some fast times. And Jay, I hope you’re taking notice – Robert Black’s making steady progress on your course record. See last night’s results below and series results here. Back by popular demand: in 2 weeks (June 25th) we’ll bring back the team TT. For those who don’t know here’s how it works: teams of 2 will start at 2 minute intervals and can work together across the course. The clock stops when the 2nd rider crosses the finish. Pick your own team, bring a ringer, show up and we’ll match you, or ride solo. We don’t care, we just want to have a good time. Disclaimer: we do care. Both riders have to be under their own power, have to complete the course, and wear helmets.